Three-D printing is making the medicine rounds. Whether it's a young boy's new robot hand or an older woman's customized jaw, the technology is catching on with doctors across the globe. 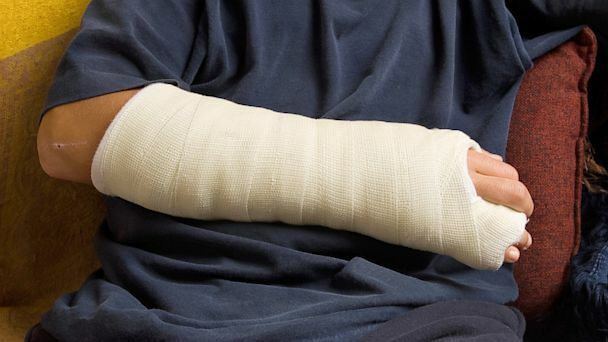 One of the latest projects is a new cast that looks like an attractive alternative to the bulky plaster and fiberglass casts used to treat broken bones. The new design comes from Jake Evill, a recent graduate of the School of Design at Victoria University of Wellington in New Zealand. Dubbed "Cortex," the cast looks like a mash-up of a spider web, a piece of honeycomb and a fishnet stocking. The network of holes is one of the new cast's greatest benefits, said Leon Benson, a spokesman for the American Academy of Orthopedic Surgeons, as well as a practicing surgeon himself. "It will at least allow patients to scratch themselves," he told ABC News. The new cast will also let air circulate and prevent the buildup of odor caused by traditional casts. The network of holes also gives it another benefit: less weight. "A plaster cast might only weigh two or three pounds, but patients will say that it weighs a ton," Benson said. Although there is less material, Benson said he believes the cast will hold the patient's arms firmly in place. "It looks strong enough to do the job," he said. Where Cortex still needs to be improved is in its manufacturing time. Designer Evill said the cast takes about three hours to produce, according to an article in Dezeen magazine. Plaster and fiberglass casts can be applied within minutes, but take a couple days to harden completely.